Atria Books to Publish New Novel from New York Times Bestselling Author Isabel Allende this Fall | News and Corporate Information about Simon & Schuster, Inc.
(NEW YORK) – March 10 , 2017. 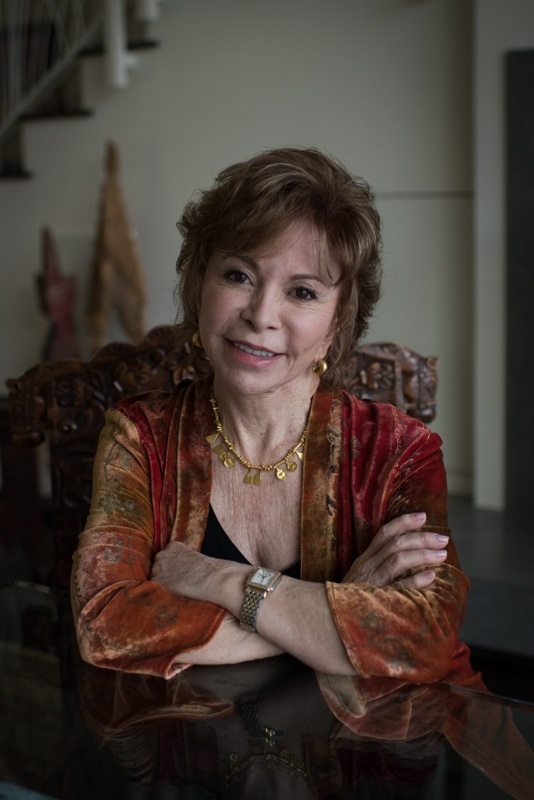 Atria Books today announced the forthcoming publication of a new novel by New York Times bestselling author and worldwide literary icon Isabel Allende. The book, titled In The Midst of Winter, will be published in fall 2017. Ms. Allende’s beloved works have been translated into more than 35 languages and have sold more than 65 million copies worldwide. In December 2014, President Obama awarded Allende with the Presidential Medal of Freedom. Atria Vice President and Executive Editor Johanna Castillo acquired World English rights from Ms. Allende’s literary agent, Gloria Gutierrez at the Agencia Literaria Carmen Balcells S.A. Her most recent novel, The Japanese Lover, published by Atria Books in 2015, was a worldwide bestseller and called “monumental” by Harper’s Bazaar and “poignant, powerful” by The Boston Globe. In In the Midst of Winter, a simple car accident is the catalyst for an unexpected and moving love story between two people who thought they were deep into the winter of their lives. Richard Bowmaster—a 60-year-old human rights scholar—hits the car of Evelyn Ortega—a young, undocumented immigrant from Guatemala—in the middle of a snowstorm in Brooklyn. What at first seems just a minor incident takes an unforeseen and far more serious turn when Evelyn turns up at the professor’s house seeking help. At a loss, the professor asks his tenant Lucia Maraz—a 62-year-old lecturer from Chile—for her advice. These three very different people are brought together in a mesmerizing story that moves from present-day Brooklyn to Guatemala in the recent past to 1970s Chile and Brazil, sparking the beginning of a love story between Richard and Lucia that was long overdue. “Working with one of the most celebrated writers of our time has been an honor for our entire company. With In The Midst of Winter, Isabel Allende has once again created a group of powerful and iconic characters and a timely message for the world,” says Johanna V. Castillo. Isabel Allende won worldwide acclaim when her bestselling first novel, The House of the Spirits, was published in 1982. In addition to launching Allende’s career as a renowned author, the book, which grew out of a farewell letter to her dying grandfather, also established her as a feminist force in Latin America’s male-dominated literary world. She has gone on to write twenty more works, including fiction like Of Love and Shadows, Eva Luna, Stories of Eva Luna, The Infinite Plan, and Daughter of Fortune. Her nonfiction works include Aphrodite, a humorous collection of recipes and essays, and three memoirs: My Invented Country, Paula (a bestseller that documents Allende’s daughter’s illness and death, as well as her own life), and The Sum of Our Days. Allende’s works entertain and educate readers by interweaving imaginative stories with significant historical events. Settings for her books include Chile throughout the 15th, 19th and 20th centuries, the California gold rush, the guerrilla movement of 1960s Venezuela, the Vietnam War, and the slave revolt in Haiti in the 18th century. Allende became a U.S. citizen in 1993 but, as she says, she lives with one foot in California and one foot in Chile. In addition to her work as a writer, Allende devotes much of her time to human rights causes. Following the death of her 29 year-old daughter Paula Frias, she established in 1996 a charitable foundation in Paula’s honor dedicated to the protection and empowerment of women and children worldwide. The Foundation has awarded grants to more than 100 nonprofits worldwide delivering life-changing care to hundreds of thousands of women and girls. In The Midst of Winter will be published by Simon & Schuster Canada, UK, India and Australia. It will also be available from Simon & Schuster Audio.